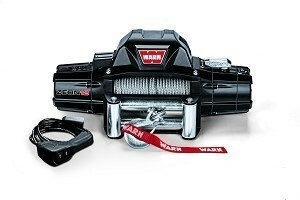 The new WARN ZEON winch changes things- forever. Tough enough to tackle anything you will, with a look that is advanced, capable and strong. ZEON is a design masterpiece that defines the next generation of winches from Warn Industries. Wherever you go, the ZEON winch excels. Muck-busing sealing keeps out everything bt the good times. Add a massive satin-black cast-aluminum housing, hyper-durable finish and an efficient new motor and, well, you've got a workhorse unit you can trust for years to come. Innovative symmetrical design, increased performance, durability, and a hefty 12,000lb. Single-line pulling capacity that includes 80' of durable3/9" galvanized steel wire rope. This is a top choice for those with heavily-loaded off-road vehicles. Satin-black powder-coated finish with stainless steel fasteners and clutch lever looks great and inhibits corrosion. Equipped with improved IP68 winch sealing to keep the elements out. Large diameter aluminum winch drum reduces rope wear, is light weight, and has an integrated rope anchor for easy rope installation. Gear train and motor deliver reliable pulling power that is fast, and quieter than ever. 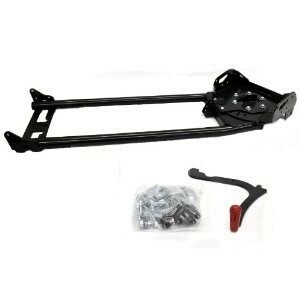 Includes remote control, hook, roller fairlead, and battery cables. Convertible control pack can be attached to the winch or remotely mounted.